I just picked up this table off of craigslist for $50 in great shape nothing wrong with it at all. It is a red field color and a mahogany color I think. Wasn't sure if anyone could tell me anything about maybe when this version was made or anything about it. Did I get a good deal and what is it really worth? My husband seems to love it so I guess I did good. i remember green, blue, and brown playing fields. any would be a great deal for 50 IMO. i'd almost give my left one for an old TS butcher block brown-top. 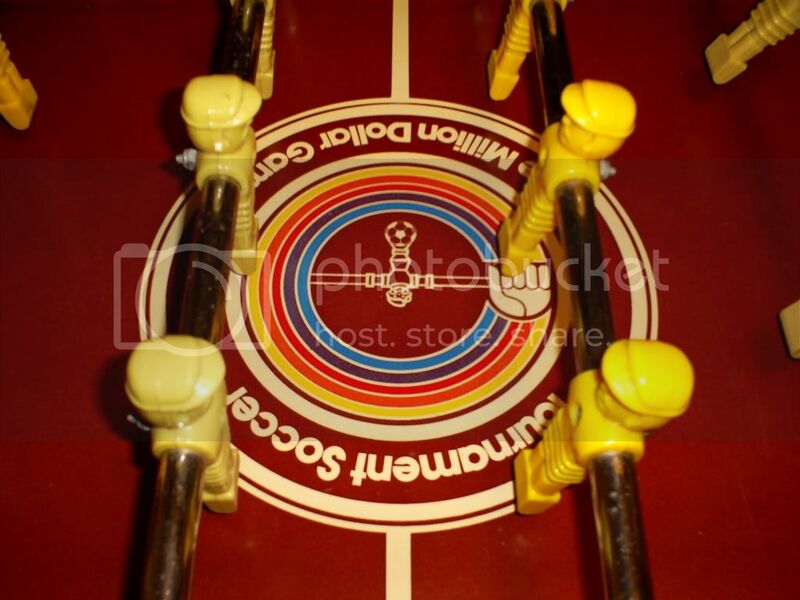 I would post pictures but for some reason when I click the Insert Image button it only types the word IMG sooo Maybe I am seeing a brownish red playing field? If you can help me figure out my picture posting problem I have some shots of it for you to see. Thanks. Ok so I think I figured it out that I have picked up a brown top. I dont see anything in ts history about red. 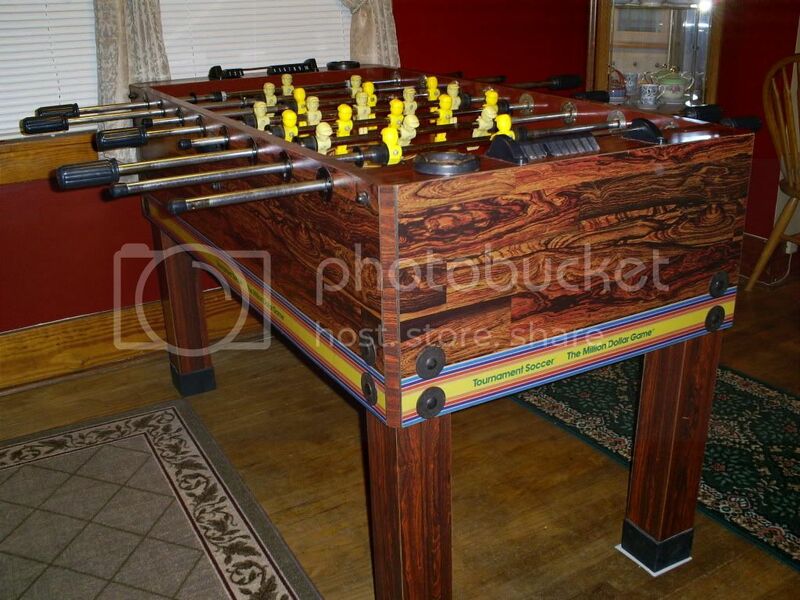 Wow Its Beautiful Foosball Table. Is there any chance you would consider selling that table? 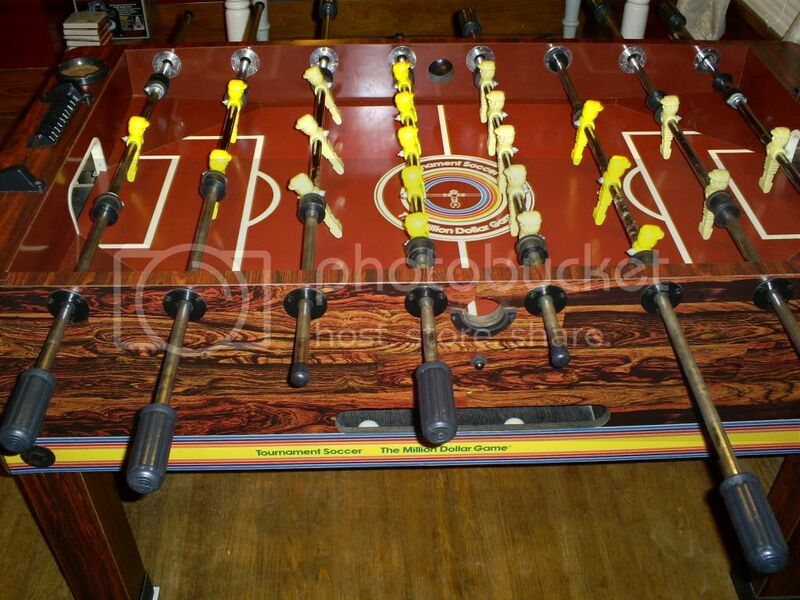 It looks terrific and i was so spoiled by those tables 30 years ago i almost cannot play on anything else. Let me know i am seriously interested in it. 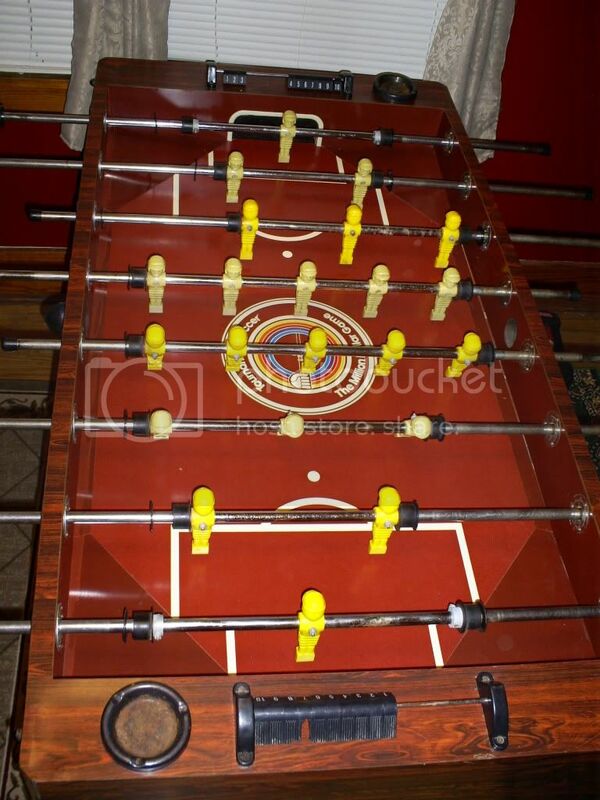 Does anyone know where you can get spare parts for these tables? What spare parts are you looking for? I think that the tournament was a really great performance to watch, so this event has become unforgettable. Just for you to keep in mind that we currently http://www.getessayeditor.com/blog/we-accept-guest-blog-posts-at-getessayeditorcom here.